Not to be confused with Nordre Land or Norrland. For other uses, see Nordland (disambiguation). Nordland (Norwegian pronunciation: [²nuːrlɑn] ( listen); Northern Sami: Nordlánda; English: Northland) is a county in Norway in the Northern Norway region, bordering Troms in the north, Trøndelag in the south, Norrbotten County in Sweden to the east, Västerbotten County to the southeast, and the Atlantic Ocean (Norwegian Sea) to the west. The county was formerly known as Nordlandene amt. The county administration is in Bodø. The remote Arctic island of Jan Mayen has been administered from Nordland since 1995. In the southern part is Vega, listed on the UNESCO World Heritage site list. The history of Nordland is a tale about the gifts from the sea: One of the most productive seas in the world providing food all year since ancient times, the same sea creates a climate more moderate than any other place in the arctic; even the bedrock itself enriched by sea living organisms millions of years ago in the geological past. The county is divided into traditional districts. These are Helgeland in the south (south of the Arctic Circle), Salten in the centre, and Ofoten in the northeast. In the northwest lie the archipelagoes of Lofoten and Vesterålen. Autumn near Trollfjord in Hadsel. Nordland is home to innumerable fjords and fjord branches. Nordland is located along the northwestern coast of the Scandinavian peninsula in Northern Norway. Due to the large distance to the densely populated parts of Europe, this is one of the least polluted areas in Europe. Nordland extends about 500 km from Trøndelag to Troms. The distance by road from Bindal in the far south of the county to Andenes on the northern tip is roughly 800 km. Nordland has a rugged coastline, with many fjords. From south to north, the main fjords are Bindalsfjord, Vefsnfjord, Ranfjord, Saltfjord-Skjerstadfjord, Folda, Tysfjord, Ofotfjord (the longest) and Andfjord, which is shared with Troms county. The best-known is perhaps the Vestfjorden, which is not really a fjord, but an open stretch of sea between the Lofoten island group and the mainland. The Raftsundet strait, with its famous branch Trollfjord, is the shortest waterway connecting Lofoten and Vesterålen. The continental shelf is very narrow west of Andenes, nowhere else in Norway is the deep ocean only a few kilometres from shore. Saltstraumen whirlpool is just southeast of Bodø, and Moskenstraumen is located in southern Lofoten. The majority of the population is located at the Strandflaten lowland. Berg in Sømna. Steep mountains near the sea and an almost flat lowland area in between the mountains and the sea (Strandflaten, coastal brim) is very typical for the long coastline in Nordland, and Strandflaten often continues out from the shore, the result is numerous islands (skerries), of which Helgeland have thousands; these islands are usually mountainous, but with smaller or larger strandflate areas. The southern part of Norways largest island (apart from Svalbard), Hinnøya is in Nordland, as is the third-largest island, Langøya. 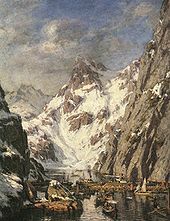 In the fjords, the coastal brim is much less developed: There might be a more gradual slope, with hills, towards the mountains, or no lowland at all. There are often valleys at the head of fjords (the fjord is an extension of the valley), usually with a river at the centre of the valley. The largest rivers follows the longest inland valleys. Ranelva at the confluence with Langvassåga, Rana. Mo i Rana, Mosjøen and Rognan are situated in such valleys. Norway's second-largest glacier, Svartisen, the second-largest lake, Røssvatnet, and the second-deepest fjord, Tysfjord (897 m) are all located in Nordland. The largest river (waterflow) is Vefsna which forms the Laksforsen waterfall. The Saltfjellet mountain range forms a natural border between Helgeland and Salten, and is where the Arctic Circle cuts through the county. The western part of this mountain range is dominated by steep mountains and fjord inlets, with glaciers stretching towards the sea, while the eastern part of the mountains is more gentle and rounded, with some forested valleys, and is well suited for hiking. 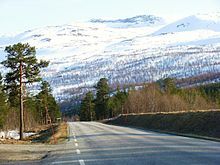 The interior of Nordland, towards the border with Sweden, is dominated by the Kjølen Mountains (Scandinavian Mountains). The highest mountain in Nordland is Oksskolten (1,915 m /6,300 ft) in Okstindan range (), the second-highest is Suliskongen (1,907 m) in Fauske, and the third is Storsteinfjellet (1,894 m) in Narvik. Stetind in Tysfjord has been voted as Norway's national mountain. There are many glaciers in the mountains, like Blåmannsisen, Okstindbreen, the Sulitjelma Glacier, and Frostisen—7 of the 15 largest glaciers in continental Norway are located in Nordland. In the geological past, a collision with Greenland pushed long slices of the seabed on top of the existing bedrock, today forming the bedrock from Dovrefjell and Trollheimen south of Trondheim stretching north in Trøndelag and through Nordland to justh north of Tromsø. This Cambrian—Silurian bedrock, much of it mica schist, is by far the largest area in Norway with soft bedrock rich in nutritions good for plant growth. It forms the bedrock in the fjord areas, while the islands off the coast and some of the easternmost areas along the border with Sweden are made up of hard bedrock (usually granite). In some areas, as in Tysfjord and Sørfold, the bedrock is a mix of soft bedrock and hard granite. Much of the Lofoten mountains are of precambrian eruptive origin and 3.5 billion years old, among the oldest on earth. The youngest rock in Norway is on Andøya, also known for its fossils of dinosaurs and other life forms. As the land was depressed by the ice sheet in the ice age, substantial areas in the lowest altitudes was beneath the surface of the sea for thousands of years acquiring marine deposits. Due to post-glacial rebound, this is now dry land, reaching 120 metres above sea level today in Saltdal, 100 m in Narvik and Brønnøysund, and 30–50 m in Lofoten and Vesterålen. Limestone is very common in Nordland, with many caves throughout the county, such as Grønligrotta in Rana. 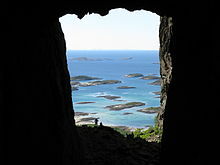 There are more caves in Rana than any other area in northern Europe. In August 2006 the Tjoarvekrajgge cave in Sørfold was explored and verified as the longest cave in Scandinavia (22 km long); Raggejavreraige in Tysfjord is the deepest in Scandinavia and Svarthamarhola in Fauske has the largest cavity. There are more than 900 caves in Nordland, one of these have a 70-metre-high waterfall (DN.no). Marble is found in several locations. Fauske is sometimes referred to as the marble capital, and has exported marble worldwide (one customer being the UN building in New York City). Midnight sun seen from Holm, Sortland. The Saltfjell mountains still snow-covered in May. Most areas except the outer seaboard have at least 4 months with snow; at least 6 months in the highlands, and all year at the highest mountains. The climate is subpolar, both oceanic and the continental climate (Köppen: Cfc or Dfc in the inside) with predominant cold weather in year. But warm summer climate (Cfb) is found in the south of the coast, due to the lightness of its climate even being largely in high latitudes. The Dfb version which is basically a temperate climate with more extremes is found in the more interior areas, although it is also located much further south normally. Some islands, like Myken, Træna and Røst, have average temperatures of c. 1 °C (33 °F) in their coldest month, 25 °C (45 °F) above average for the latitude. Nordland covers almost 5° latitude, but temperatures are moderated by proximity to the temperate sea; the annual mean only varies from 5.6 °C (42 °F) on the southern coast to 4 °C (39 °F) on the northern coast (1961–90). Summers are somewhat longer in the south. Winters are colder in the interior, fjords will moderate temperatures in nearby areas. Mountain areas are colder all year, with much longer winters—snow cover can persist all year at the higher mountains. Annual snow accumulation can exceed 5 m in the mountains—the main reason for the many glaciers in Nordland. Easterly winds give dry, sunny weather (the air must climb the Kjølen mountains), with warmth in summer and cold, clear air in winter. Southwesterly winds are common, bringing moist and mild air from the Atlantic Ocean. Autumn and early winter is the wettest season along the coast of Nordland, while April–June on average is the driest. The strongest winds occur in late autumn and winter, as the Atlantic low-pressure systems are strongest then. High-pressure weather can occur in all seasons, and in summer this brings 24-hour sunshine north of the Arctic Circle. The Arctic Circle cuts through Nordland, defining light conditions - but not necessarily climate. In this region the oceanic climate (Cfb, according to Köppen) is located at 65 °N, usually located at maximum up to 60 °N (Alaska), iso considering only the 0 ° C isotherm. Such condition shows the mild nature of the climate mainly in winter, but even in the summer it is still present by the way. Gladstad is by the same definition the northernmost city with this categorization throughout the Northern Hemisphere. Together with southern Norway, Nordland receives values between 1500 and 2000 mm at least annually, , values above the average for European standards. Outside the country, such values are only superimposed on higher elevations of the continent. Nordland Nasjonalparksenter at Storjord in Saltdal. The official weather station nearby has the county heat record with 33.8 °C recorded 11 June 2011. Lurøy (115 m), west of Saltfjell, averages 2,935 mm precipitation annually; the wettest location in North Norway and in the world at such high latitude. Some of the wettest areas along the coast (a narrow band) north to Glomfjord fulfills the climatic criteria for a temperate rainforest (). East of the mountains, Saltdal has a mean annual precipitation of less than 300 mm. Narvik in the northern part of Nordland averages 830 mm. Temperatures will generally drop 0.7 °C (1 °F) as elevation increases by 100 m. With mountains in almost all areas, alpine tundra is common in Nordland. Recent years have tended to be warmer in Nordland than the fairly cold 1961–1990 base period. Glomfjord in Meløy, approximately halfway up the coast of Nordland, has a long climate record and is situated in a rural area with little or no urban heat island effect, and is used as an official climate reference station. Glomfjord here represents the current climate in coastal areas (summers usually slightly warmer, winters often significantly colder in the inland). Research using sediment in lakes near the Okstind Glacier has shown that the summer climate in Nordland was up to 2.5 °C warmer 9,000 to 6,000 years ago, and then slowly cooled—it was 0.5 °C warmer 2,000 years before present (see Holocene climatic optimum.). This research also concluded that the eastern Okstind Glacier did not melt completely during this warm period, the first glacier in Norway known to have survived since the Ice age. 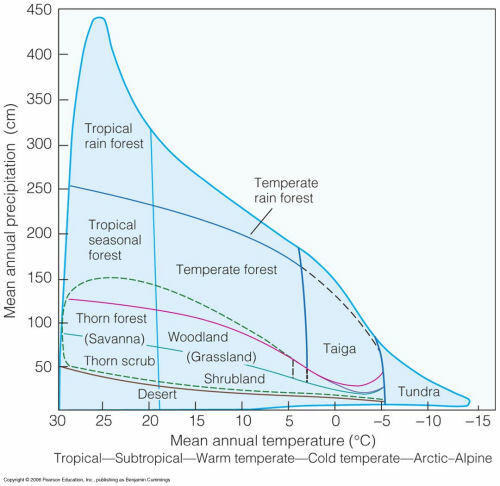 Climate statistics provided by Norwegian Meteorological Institute; 1961–1990 base period unless otherwise stated. Data for Glomfjord last 10 years by Storm Weather Center. The Aurora Borealis can be seen in much of the year, but not in summer. Andøy, October 2007. The light conditions vary considerably from north to south; Andenes in the north will have midnight sun from 22 May to 20 July, and the sun is below the horizon from 28 November to 16 January (Narvik daylight). In Bodø, the sun is above the horizon from 3 June to 8 July. Helgeland is situated south of the Arctic Circle: At winter solstice the sun is above the horizon approximately 3 hours a day (Mosjøen daylight). There is not a true midnight sun in Helgeland, although the upper part of the sun disc will be above the horizon all night in June as far south as Mosjøen. With the transitional period with a short dusk included, there are three full months (from early May to early August) without darkness in Nordland. In Laukvik is the polarlightcenter, with lots of information about the polarlight. Source: Almanakk for Norge; University of Oslo, 2010. Sunhours:Norwegian Meteorologicial Institute. Note: The very low sun is blocked by mountains in December and the first week of January. In mid-July, the sun sets after midnight due to daylight savings. Røst has the largest seabird colonies along the Norwegian coast. The sea along the coast has a rich marine life, and the cod fisheries in Lofoten has lasted for more than 1,000 years. In addition to cod, coalfish, haddock, herring, wolf fish and halibut are all common along the coast and in the fjords. Nordland also features many lakes. The largest deep water coral reef (Lophelia pertusa) in the world, the Røst Reef, 40 km long, is located west of Røst, and protected from trawling since 2003. The coast of Nordland has the highest density of sea eagles in Europe. There are millions of seabirds; the islands of Røst has the largest colonies in Norway with about one-quarter of all seabirds in continental Norway, probably most famous for the puffins and cormorants. 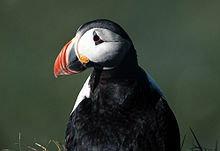 Lovund also has a well-known colony of puffins. Marked hiking route in Junkerdal National Park. Otters are very common along the coast and fjords, as is harbour porpoise, harbour seals; there are also seals. The largest fish in the sea is the basking shark, which were hunted in earlier days. The character birds along the coast, common in all areas including the fjords, are sea gulls, Eurasian oystercatcher and Arctic terns, and the grey heron has also become common. The Eurasian eagle-owl has a stronghold along the Helgeland coast; predator birds like golden eagle, gyrfalcon and peregrine falcon nest in some inaccessible areas. Orcas are common along the coast and in the Vestfjord area (even in the fjords) in winter, and the world's largest predator, the sperm whale, hunt for prey in the deep waters west of Andøya. Tysfjord and Folda fjord is home to the world's northernmost lobster population. The long inland mountain range with alpine tundra and subarctic forest is part of the core area for wolverine in western Europe. Spruce forest expansion have been blocked by Saltfjell and Kjølen mountains, thus spruce forest naturally grows only in Helgeland, but are commonly planted in the whole county for economic reasons, sparking some debate. Sitka spruce is also commonly planted in Nordland, particularly in coastal areas. The coastal areas belong to the Scandinavian coastal conifer forests ecoregion; some small areas have been classified as rainforest using botanical criteria as well as precipitation data. Inland areas up to the conifer treeline belong to the Scandinavian and Russian taiga ecoregion, while the highlands and mountains belong to the Scandinavian Montane Birch forest and grasslands ecoregion. Other common trees in Nordland are birch, rowan, willow, grey alder, bird cherry, aspen and Scots pine, more rarely seen is wych elm and common hazel (elm north to Beiarn, hazel north to Steigen, small-leaved lime north to Brønnøy, forest apple north to Moskenes). The Nordland whitebeam (Nordlandsasal) is one of very few endemic trees in Norway, and only grows in Bindal in Nordland. 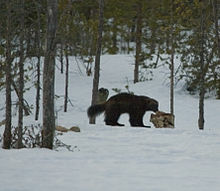 In the mountain areas in the interior, reindeer can be seen (these have Sami owners), hunted by the indigenous wolverine. There are also a few brown bears in the interior. The Arctic fox is now in danger of extinction on the mainland, but a few are left in these mountain areas, particularly in Børgefjell mountains. Red foxes, moose, hares, squirrels, small rodents, pine marten (inland valleys) and stoats are all common in the forests. As of 2008, there were a minimum of 50 lynx in Nordland residing in the forests in all Nordland except Lofoten and Vesterålen. In lowland areas, roe deers now occur in most of Nordland, and red deers are seen in the southern part of Nordland. The badger and the common viper has their most northerly habitat in southerly coastal areas of Nordland. Grey wolves have been observed in inland areas of Helgeland. There are few species of amphibians, although the common frog is common in all Nordland except mountain areas, and the smooth newt has its most northerly habitat in the world in the river Vefsna. There are seven national parks in, or partly in, Nordland. From south to north, these are Børgefjell National Park, Lomsdal–Visten National Park, Saltfjellet–Svartisen National Park, Junkerdal National Park, Rago National Park, Sjunkhatten National Park and Møysalen National Park. The national park centre for Nordland is situated in Saltdal. Herring fisheries could bring a large catch in a short time. Picture taken around 1870. The key industries are fisheries and offshore petroleum exploration. Nordland is well known for the fishing of codfish and fish farming of salmon. Main export markets are Germany, Scandinavia, Britain, Netherlands, Italy, Spain, France, Russia and Japan. Tourism is important, mainly in the summer season, although there are some winter visitors looking for good skiing or wanting to see the Northern Lights, especially from February to April. Tourists are attracted by the scenic coast, especially Lofoten, which is also visited by many cruise ships in the summer, while the rest of the county often is ignored by tourists. Mountain hiking is popular among natives and some tourists. Whale watching attracts tourists to Andøy and the Tysfjord /Lødingen /Svolvær area, and fishing is also popular along the coast and in the salmon and trout rivers; there is also Arctic char in some rivers. Saltstraumen has the world record for coalfish using a fishing rod, and Røst has the world record for halibut, 202 kg (). Gravdal, where the local hospital in Lofoten is situated. Glomfjord hydroelectric powerplant in Meløy. Nordland has the largest hydroelectric potential among Norways counties, and some powerintensive factories. Farming is another regional economy, and consists mainly of dairy farming and livestock such as sheep, and domesticated reindeer graze the inland highlands. There is also some forestry, particularly in the Helgeland district, but also further north. In earlier days, grain was grown in Nordland (mostly barley, some oats). Nordlandshest is the smallest of the three Norwegian horse breeds. The Norwegian Lundehund was bred to hunt puffins and only saved from extinction due to a few remaining dogs in Lofoten. There is a long history of mining. Sulitjelma has the largest copper deposits in the county, as well as pyrite, the latter is also found in several other locations, but the mining here has been discontinued for economical reasons. In earlier days, silver was mined in the Dunderland Valley in Rana, and until 2002 nickel and olivine was mined in Ballangen. There are several limestone, marble, and dolostone quarries, dolomite in Vefsn, Fauske, Sørfold and Ballangen. As of 2008, mining of gold in Bindal is in testing stages (). The port of Narvik has a direct rail connection to the well known and profitable Kiruna-Gällivare iron-ore fields in Sweden. There are many dams for hydroelectric power. Nordland has an increasing diverse economy, with fledgling research and development in aerospace and space exploration at the Andøya Rocket Range, which primarily is known for its satellite launches. This vast province, Norway's second largest, almost the size of Denmark, traditionally was very important for NATO, and the Royal Norwegian Air Force has two squadrons of F-16 fighters stationed at Bodø Airport, and all its P-3 Orion maritime surveillance aircraft stationed at Andøya Air Station. The decommissioning of closing military bases has led to a regional shift towards a new knowledge based economy. 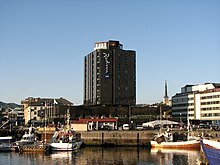 Bodø has an airport, railway station and a harbour within walking distance, and numerous hotels. There are local hospitals in Mosjøen, Sandnessjøen, Mo i Rana, Bodø (the largest), Gravdal, Narvik and Stokmarknes. Helgeland Bridge connecting Alsten island to the mainland. With many deep fjords, islands and straits, Nordland is a county of bridges. Bodø Airport is the busiest airport, and a hub for many smaller airports in Nordland. Harstad/Narvik Airport, Evenes in the north also has non-stop flights to Oslo. The E6 runs along the entire length of Nordland. There are many tunnels and bridges; some of the largest are Helgeland Bridge, Gimsøystraumen Bridge, Raftsund Bridge, Skjomen Bridge, Rombak Bridge, Hadsel Bridge, Sortland Bridge, Andøy Bridge, Saltstraumen Bridge, Kjellingstraumen Bridge and Brønnøysund Bridge. Even with improved communications, population numbers in Nordland has actually decreased slightly since 1990, as many young people move to larger cities in Norway. Bodø is the only municipality in the county with a significant growth in population. 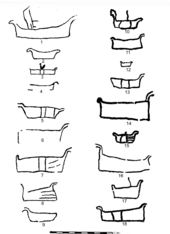 Prehistoric rock drawings showing boats, 1-2 from Skjomen, 3-4 from Rødøy, the other from Frosta. There is evidence of human settlement in Nordland as far back as 10,500 years ago, about as early as in southern Norway. These Stone Age people lived near the coast, often on islands and typically along straits near the open sea, with a rich provision of marine resources. Such archeological evidence has been found on Vega, in Leirfjord and along Saltstraumen. There are at least 15 locations with prehistoric rock carvings in Nordland, from Helgeland in the south to Narvik in the north (see Fosna-Hensbacka culture). 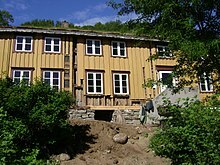 Some of the oldest houses known in Norway were excavated on Langhågan on the island Sanna in Træna municipality; the oldest house was oval, 6 x 4.5 m, and is dated to 4000 BC. A 65-metre-long stone paved "trail" from the house down to a small harbour, today 23 m above sea level, is still visible. The 4,600-year-old rock drawings at Rødøy, which depict a man on skis holding a stick, is the oldest known reference of skis being used. The location is somewhat surprising, as this island has unreliable snow cover, and the Scandinavian climate was warmer in the Stone Age. This rock drawing was used as a pictogram in the Lillehammer Olympic Games in 1994. The first agricultural culture has been dated to the Bronze Age. This culture left large burial cairns close to the sea, for instance in Steigen and Vestvågøy, and the northernmost location is around Harstad in southern Troms. These locations have significant areas of lowland suited for agriculture, they are close to the sea and they have many natural harbours. The marble phallus on Dønna. The oldest remains of a boat ever found in Norway was discovered in a bog in Sømna. Known as Haugvikbåten, the well preserved piece, kept in the Museum of Science (Vitenskapsmuseet) in Trondheim, has been dated to 800–400 BC—the Nordic Bronze Age (). For many generations Hålogaland had been the northernmost area of Norse settlement. The remnants of large longhouses near Borg (Vestvågøy) and in Steigen are dated to the Merovinger period (ca 600 AD). There are substantial archeological evidence of a Norse iron-based culture along the coast from approximately 200 AD. Hamsun Farm, Hamarøy, part of the Norwegian Cultural Heritage. Nordland is regarded as part of Sápmi. The Sami, which are not of Norse origins, have lived in Nordland for at least 2,000 years. Not just inland, but also along the fjords and, in the northern part of Nordland, even on the coast and larger islands, such as Hinnøya. There is a story in Heimskringla about a Viking which became a contender for the throne, Sigurd Slembe. He was on the run from the king, and was helped by Sami in what is probably Lødingen municipality today. The sami even built him a boat, which the saga mention was made from pine wood (viking ships were typically made from oak wood, but oak does not grow naturally this far north). Tysfjord today is a centre for the Lule Sami culture. The current county of Nordland was part of the petty kingdom of Hålogaland in the Viking era. This kingdom also included the southern part of Troms. In January 1432, an Italian trade ship going from Crete to Flanders was hit by a storm and taken far north where it was wrecked; some of the crew survived and came ashore on a small island near Røst. They were taken care of by the people of Røst. The story, told by one of the men, Pietro Querini, gives one of very few descriptions of life in Nordland in this time period (Querini - Norw txt). Querini sees the people of Røst (in all 120 people) as very trusting and good Catholics, the inner circle of paradise. He also mentions a German priest, which they could talk to in Latin. People lived from fishing cod and halibut, which they traded for other goods (like grain) in Bergen—the cod as stockfish. Each family also had about 5 cows, and collected eggs from semi-domesticated ducks. The shipwrecked men did not lack food during their winter stay, usually fish, but Querini also mention, milk, meat, butter and pancakes. The people of Røst lived in round, wooden houses, and mostly used clothes made of wool. By late May, sailing in 24-hour daylight, the Italians were taken south to Bergen. The Battle of Narvik saw the hardest fighting in Norway in World War II; about 7,500 Norwegian soldiers took part in the battle, along with British, French and Polish troops. The recapture of Narvik was the first time the Nazi German war machine had to withdraw from a captured town. The reconstructed chieftain house, Lofotr Viking Museum, Borg in Vestvågøy. The largest ship disaster ever in Norway took place in 1944 when Rigel transporting German prisoners was bombed by RAF near Sandnessjøen (Alstahaug), with more than 2,500 casualties. The ship was grounded on Rosøya, where it remained, half sunk, until it was demolished in 1970. Petter Dass lived in Alstahaug, and the Nobel laureate author Knut Hamsun grew up in Hamarøy after his family moved there when he was 3 years old. Nordland county is identical with the Diocese of Sør-Hålogaland. The County Mayor, since 2011, which acts like the Speaker of the Council, is currently Sonja Alice Steen from the Norwegian Labour Party. The County Council uses the Cabinet system. The coat-of-arms is from modern times (1965). It shows the traditional boat of Nordland - the nordlandsbåt. ^ a b "Updated Köppen-Geiger climate map of the world". people.eng.unimelb.edu.au. Retrieved 2018-12-20. ^ "Europe and the United Kingdom Average Yearly Annual Precipitation". eldoradoweather.com. Retrieved 2018-12-20. ^ "annual temperature Nordland-Troms since 1900". met.no. ^ "Glomfjord average conditions; base period 10 last years". Storm Weather Center. Retrieved 16 December 2009. ^ "Bjerknes climate research centre - Norwegian" (PDF). uib.no. ^ "Basking shark in Norwegian waters". fiskeri.no. ^ "Characteristics of the lobster population in Tysjord and Folda". britannica.com. ^ "Statistikkbanken". ssb.no. 26 May 2012. Archived from the original on 26 May 2012. ^ "Invest In Sweden - Horn International". www.norwayonline.no.